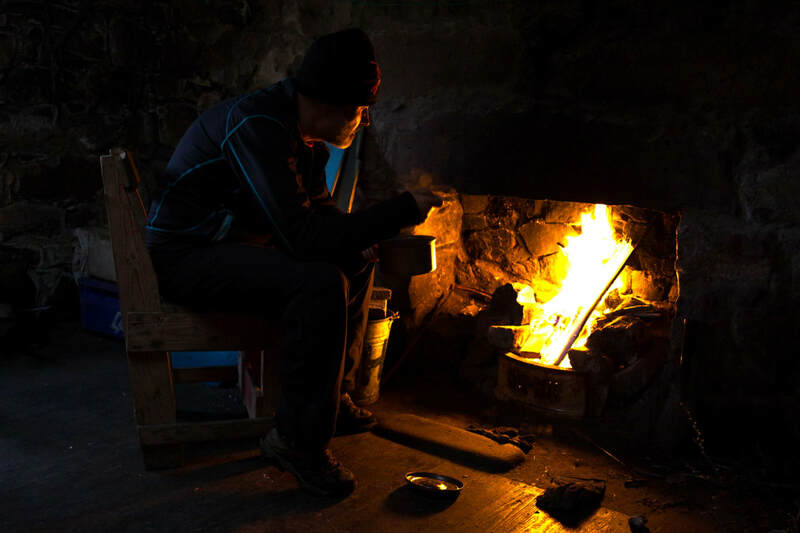 This was an overnight bothy trip involving a 6km hike, including carrying water. After a dry spell, water is difficult to find bar the leech infested Lochan gun Ghrund! 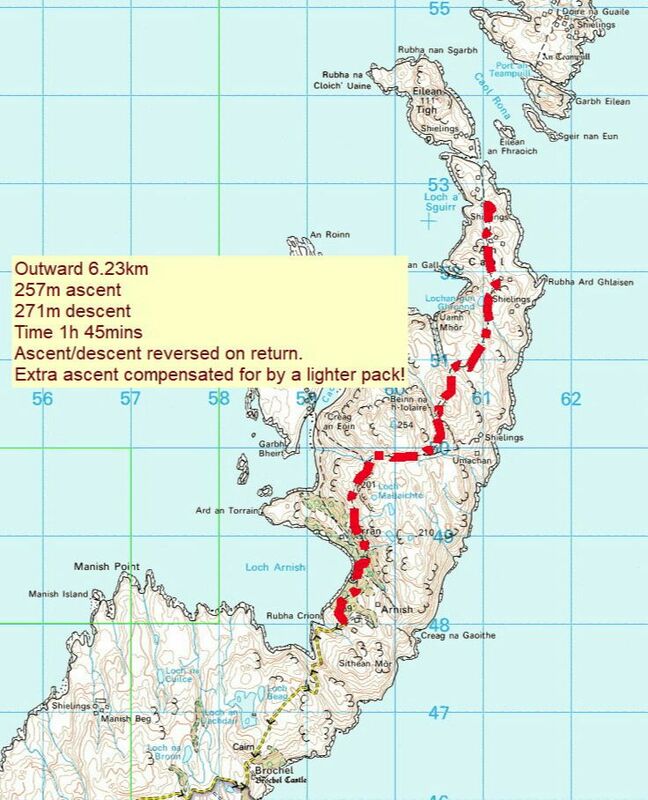 1h 45min each way carrying bothy gear. At the end of the road at Arnish. I think it was Graham Brigginshaw that many years ago told me that Raasay was worth a visit. With a lack of big hills, I paid it little attention. 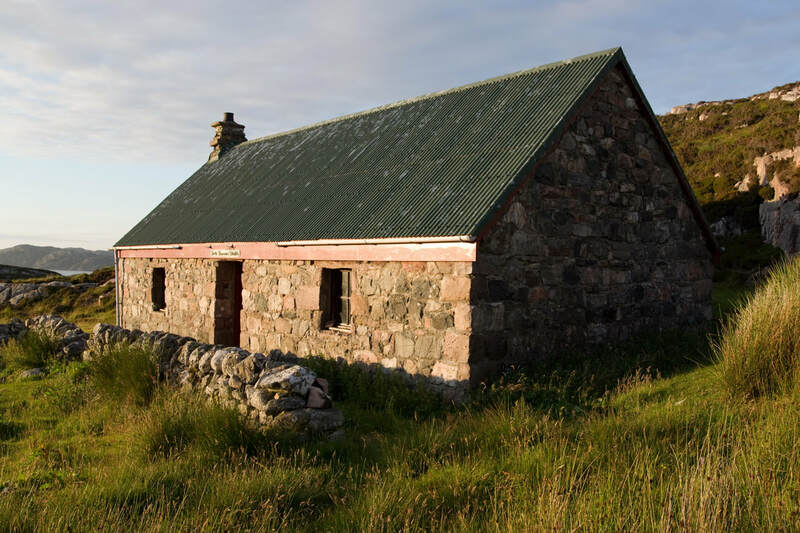 However, I was aware of the bothy, and thought it worth checking out. An island always has added appeal - something to do with having to cross water to get to it! 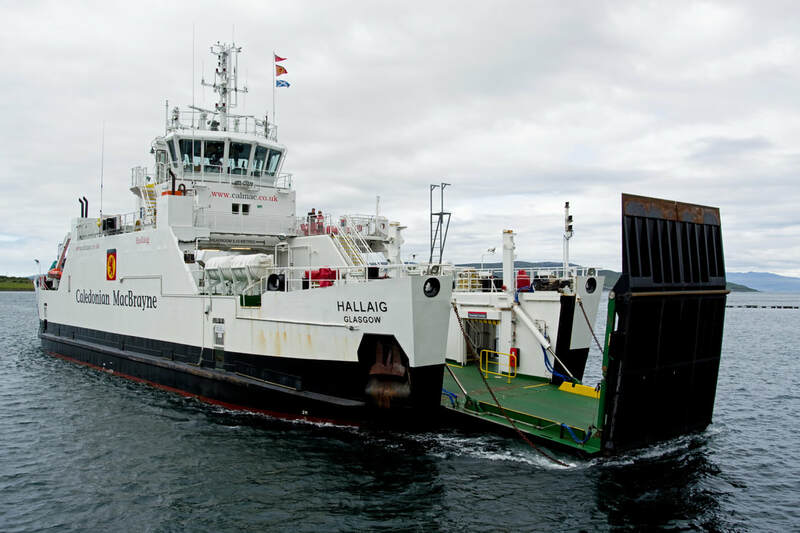 Seeing the ferry approaching Sconser elevated my level of excitement. Taigh Dhormoid Dhuibh is a the far northern end of Raasay. 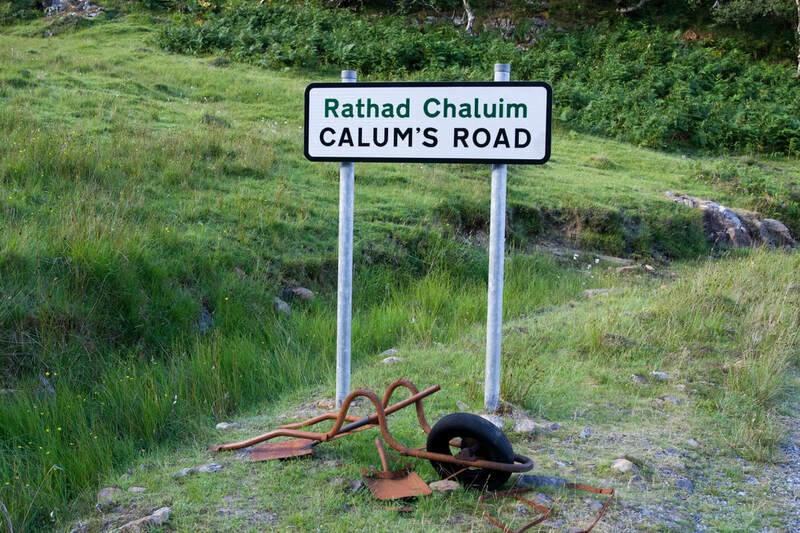 This means driving along Calum's Road which was constructed by just one man with a wheelbarrow, pick-axe and shovel. 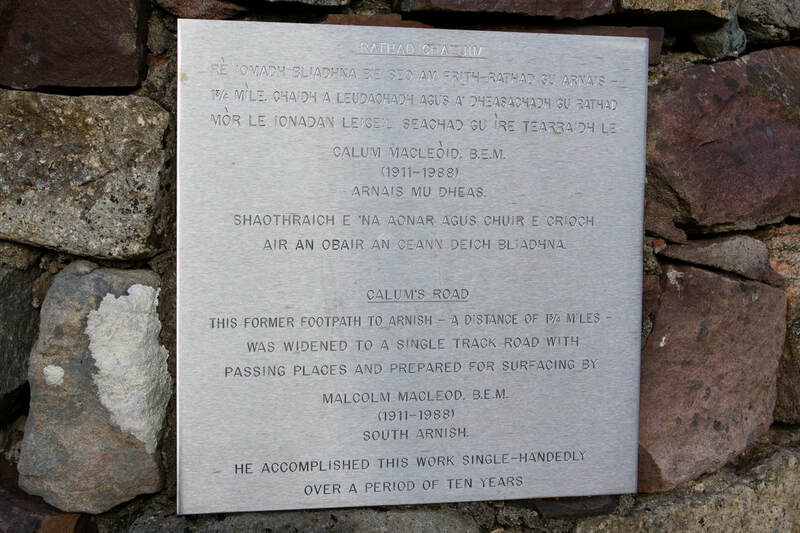 He upgraded the pre-existing narrow path in an attempt to preserve the community at Arnish. It took him ten years, by which time, only his own family remained, all the other families having left. He was awarded a British Empire Medal for his efforts. some have to work harder than others for their honours! There are a number of unusual road signs on the island, including one to the North Pole! 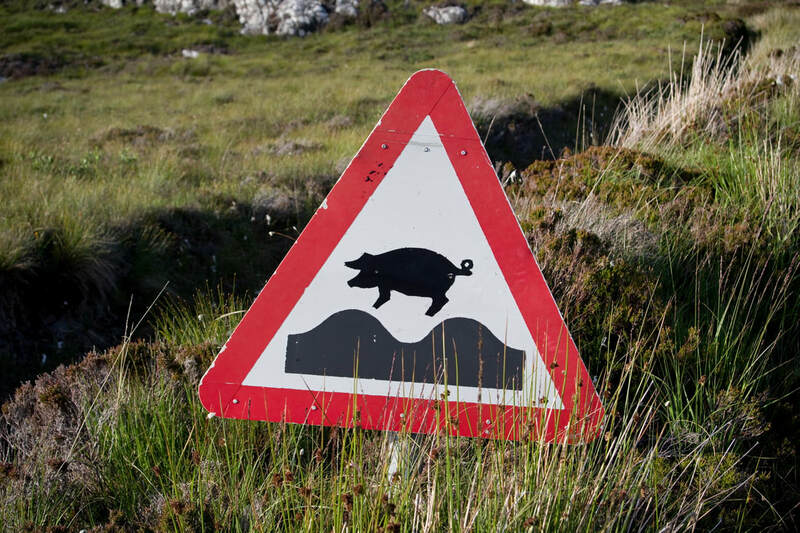 I am open to suggestions as to what this means - something to do with flying pigs, presumably! 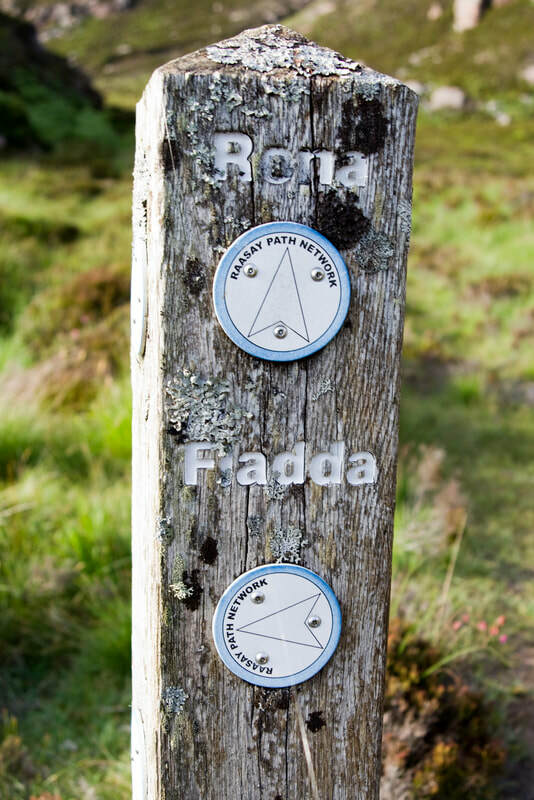 Parking the car at Arnish, the route follows what is initially a track and continues along what are generally good paths. The junctions are signposted. Perhaps I will visit Fladda next time? 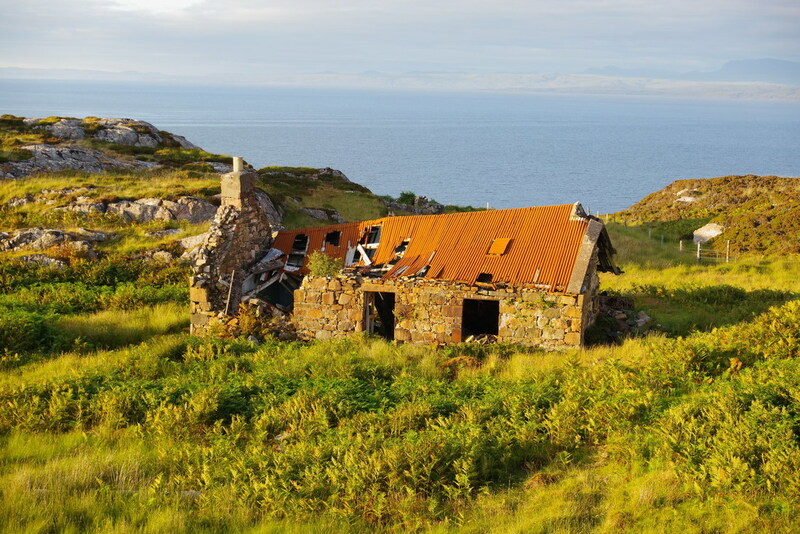 I hear that some have had difficulty finding the bothy as it is a little off the track. I can understand this if approaching in the dark or thick mist. I have heard of one man spending a damp night in the ruin to the south, with most of its roof collapsed, while others enjoyed a warm fire a little further north! The warm weather did not really call for a fire, but it is part of the bothy experience and it is always nice to have a bit of a fire, even if only for a couple of hours. I felt a bit guilty about using two-thirds of the wood that was there but I did leave a load of wood and coal at my previous bothy (Abyssinia).